February was a big month for me. I had a baby and a week later my husband was off to the US for work. With these big changes, it's meant that I've had little to no time to play with hair and make up, so there's not many of those in this post. 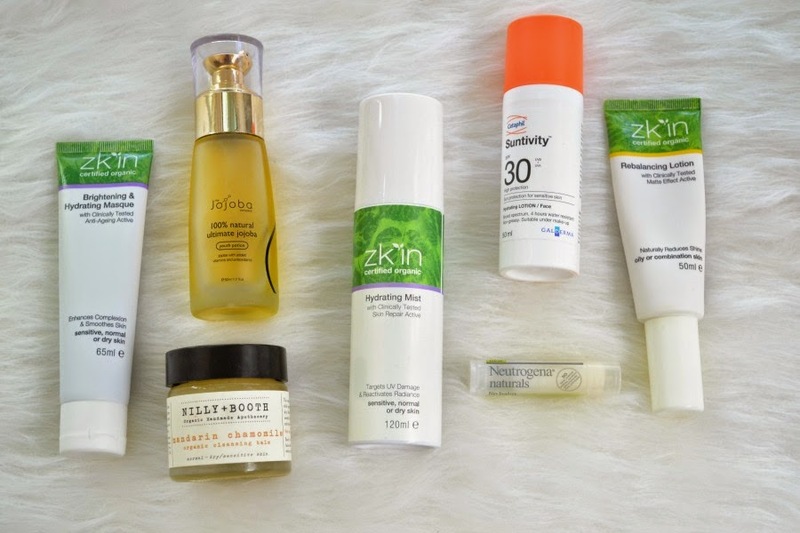 I have been loving skincare though, and there's some great new products that I've been using. The scent of this mask is delicious. It smells like chocolate. What I love about this mask is that it's not an artificial fragrance, but it's cocoa seed powder. I've only used this a handful of times, but I've really loved using it. It's supposed to give a brighter complexion and I hope to see that with weekly use. Earlier in the month, I was having dry patches on my face so I included this oil to help hydrate my skin. I love how easy this is to apply. It also sinks into the skin quickly and without looking or feeling greasy. Nilly + Booth is an Australian handmade organic skincare brand that has some amazing products. I really love their cleansing balm. It's a lightweight balm that removes make up easily. Because of its consistency, it doesn't leave my skin feeling oily and it isn't too thick or heavy. I never skip using a toner and for me, it's an underrated beauty product. I prefer to use a mist as I find it refreshing, especially in summer. This organic toner helps to give moisture to my skin as well as reducing redness and brightening skintone. Sunscreen is one of those beauty products that has to be just right or you won't use it at all. This sunscreen is affordable, lightweight and has awesome packaging (it has a pump!). It sits nicely under my make up and doesn't feel too heavy or tacky like other sunscreens can feel. A lip balm is an absolute essential for me and I prefer a stick formula as the germaphobe in me hates using my fingers to apply a lipbalm. I've used this before and it's a fantastic lipbalm that helps to hydrate my lips and get rid of dry skin. I like using a day and a night moisturiser and this moisturiser has been morning moisturiser. There's been quite a few 30-40 degree days here in Adelaide so this moisturiser has been fantastic as it's a matte moisturiser. It helps to reduce shine, which happens quickly when it's that hot. It sits nicely underneath my make up and works well with my sunscreen. I find that it doesn't give me enough moisture at night (since I'm not applying extra layers like sunscreen and a BB or CC cream) so I've been using my Antipodes night cream instead. 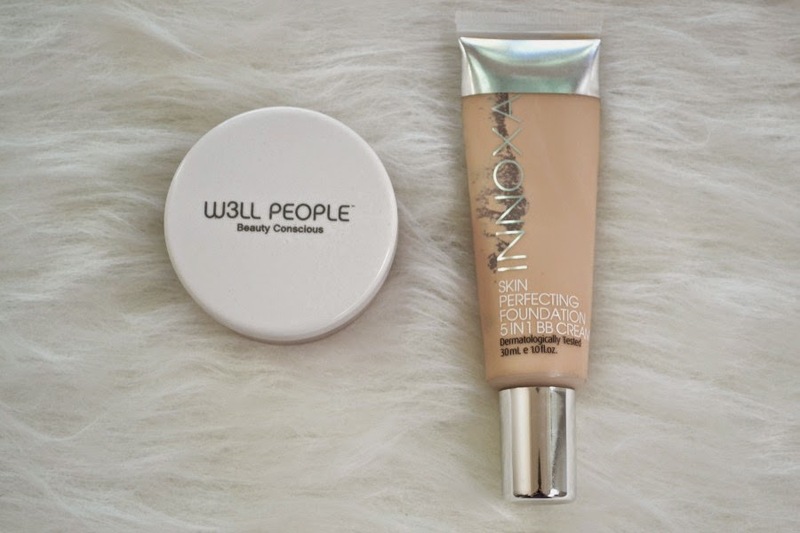 This is such a wonderful mineral foundation. It gives effortless coverage and is quick and easy to use. I like to dust a small amount over my BB cream. It does have a slightly unusual smell, but nothing too weird or horrible. This is a great BB cream that gives me light coverage while helping to reduce redness. I can use this alone, or as a base underneath a mineral foundation powder. It feels moisturising, so if you have oily skin you may want to skip this. You all know how much I adore the haircare brand bHave. I love it so much that I could use it for the rest of my life and never use another brand... until now! 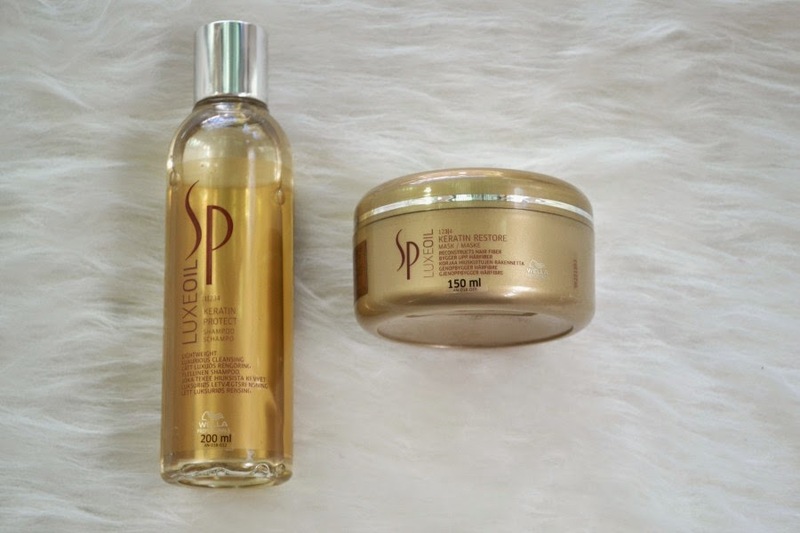 The LuxeOil range is incredible! I've already raved about the oil and mask before on the blog and now their shampoo has become my holy grail shampoo (along with my bHave shampoo). I have to admit, shampoo's are pretty boring. Until I used this! Like the rest of the LuxeOil range, it has a gorgeous candy scented smell. What I adore about this shampoo is the fact that it makes my fine, damaged hair clean without stripping it and making it feel dehydrated. Again, I'm singing the praises of this mask. It's INCREDIBLE!!! It smells amazing, works in only 5 minutes and leaves my hair feeling soft and hydrated. Sadly I finished this and I'm using a different hair mask. I've noticed such a big difference since I've stopped using the LuxeOil mask. My hair doesn't feel as soft and has more flyaways now. The hairdressers around me don't sell this (sadface!!) and I'm hesitant to go into the city with a newborn, so I'll be using another mask until I feel confident enough to be out of the house for a few hours. This is my nightly shower gel. 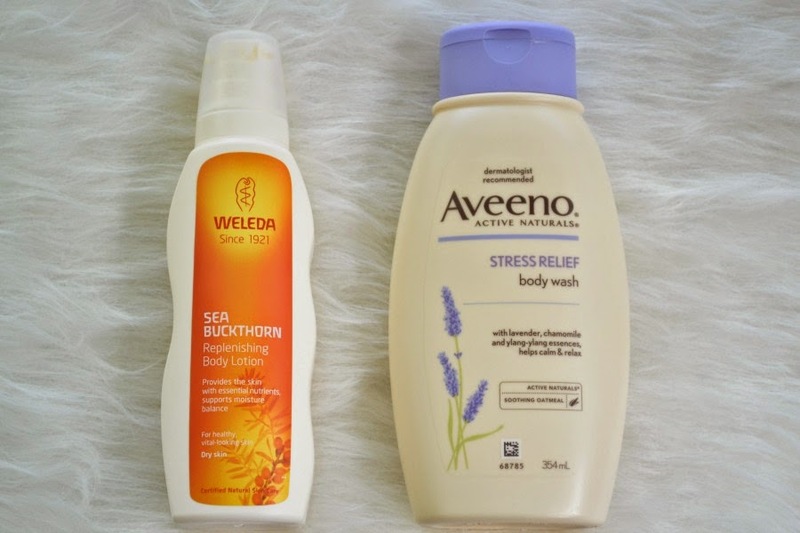 After spending the day trying to juggle a loud and energetic almost 4 year old and a 2 week old, I need all of the stress relief products that I can get my hands on!! I use this in the shower, but it would also make a wonderful and relaxing bubble bath gel. They also have a matching body lotion. I'll be picking it up when I go to Coles or Woolworths next. This body moisturiser is my daytime one. It has a wonderful uplifting scent that helps me feel (almost) human after the little sleep that I'm getting. It has a fruity scent that gives a soft fragrance on my skin, which is great as most days I've been forgetting to apply a perfume. There's also a matching body wash, which I'll have to get my hands on when I go into the city. And those have been my favourites. 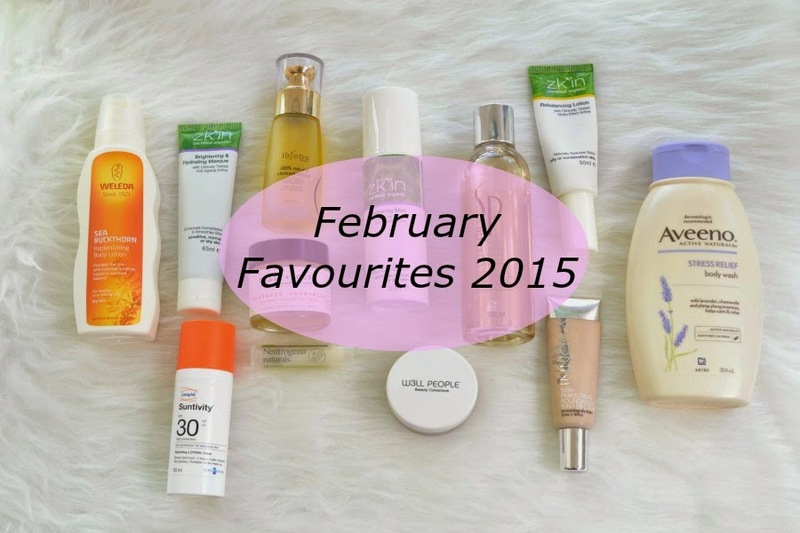 I'm currently doing a clean out of my beauty stash and have found some oldies but goodies, so expect to see a lot of "new" mentions in my March favourites! When was the last time you did a clean out of your beauty stash?